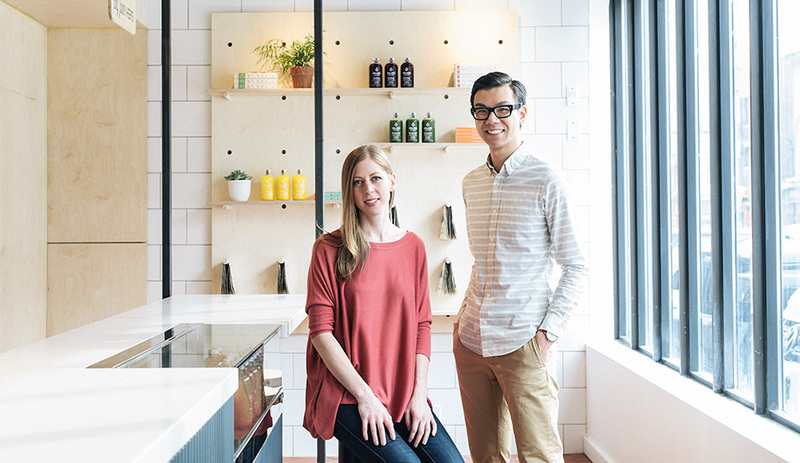 The Village Juicery on College Street, Ashley Rumsey and Stanley Sun’s latest interior project. 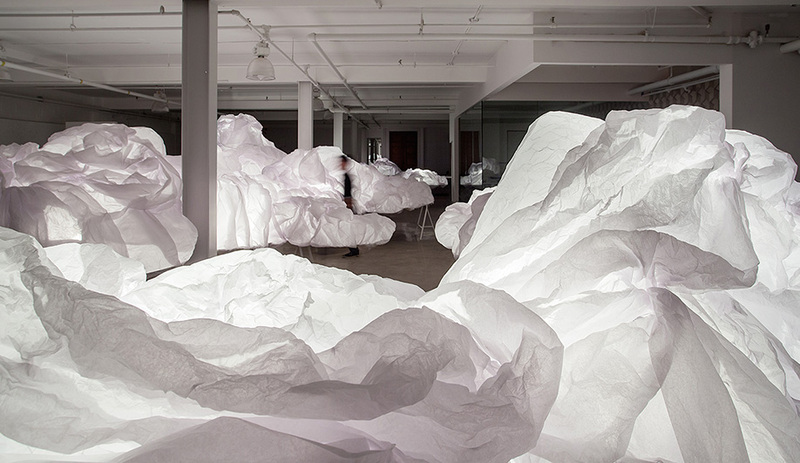 An installation of paper clouds was equipped with sensors that triggered light and ambient sounds. A concept space developed for the Interior Design Show reflected Canada’s identity via homegrown products and natural materials. For one night in 2012, glowing orbs made from thousands of paper cups illuminated a train platform in the Junction district of Toronto. 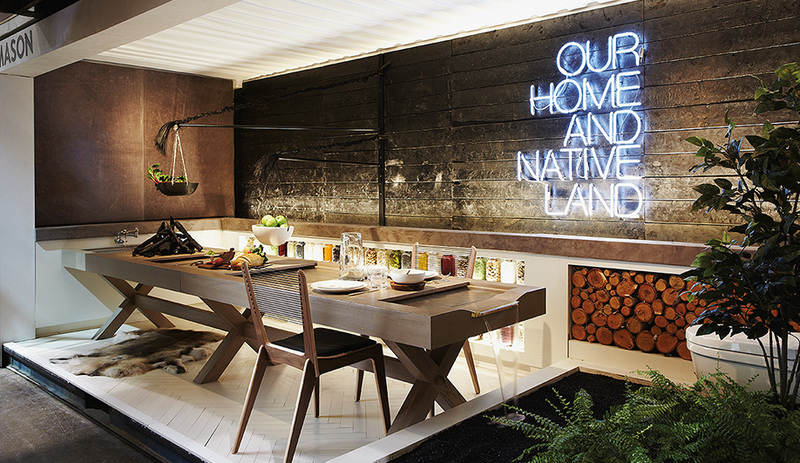 A neon sign at Ashley Rumsey and Stanley Sun’s office in the west end of Toronto spells out a line from Canada’s national anthem: “Our home and native land.” The light is a souvenir from one of their earliest projects, a highly praised exhibition that premiered at the Interior Design Show in 2012. There, the glowing lyric served as the backdrop to an all-in-one cooking, dining and bathroom concept built inside a shipping container, incorporating both a live tree and a channel of running water that flowed down a four-metre oak dining table. 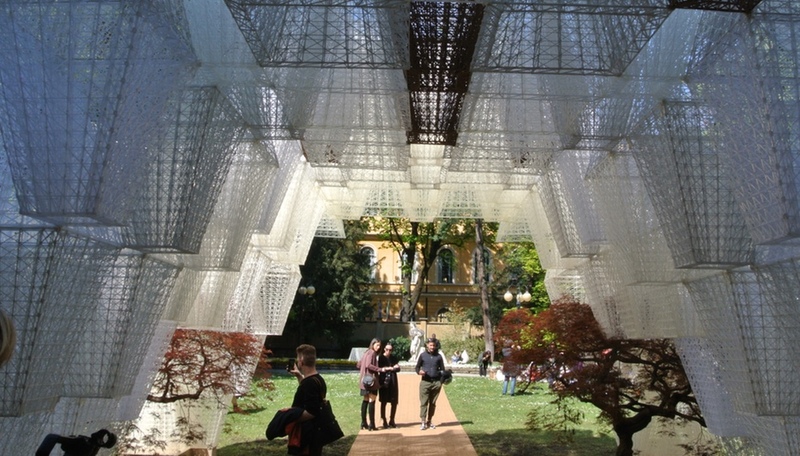 The installation unabashedly celebrated natural materials and designs by Canadians. 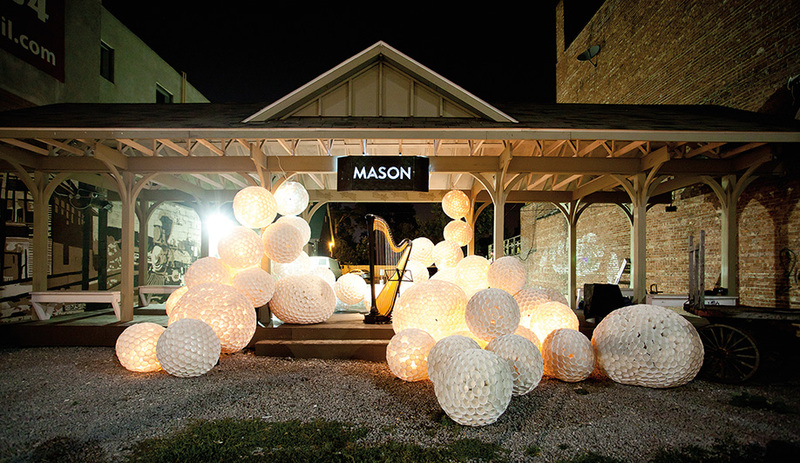 It also put Mason Studio on the map as one of the country’s most talented up-and-coming firms. The duo had graduated from Ryerson University’s school of interior design just four years prior. Friendly competitors throughout their program, they went in separate directions after school, with Sun taking a job at London’s Jump Studios and Rumsey at Yabu Pushelberg in Toronto. 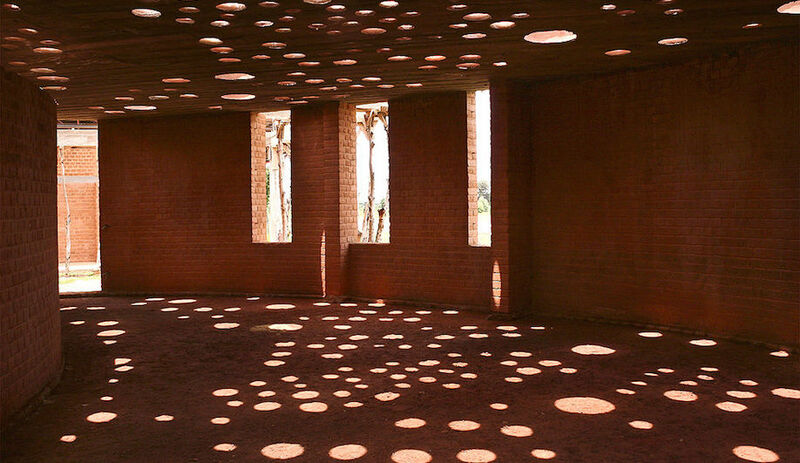 But a shared interest in taking on edgier, more community-minded projects led them to start their own firm in 2011. 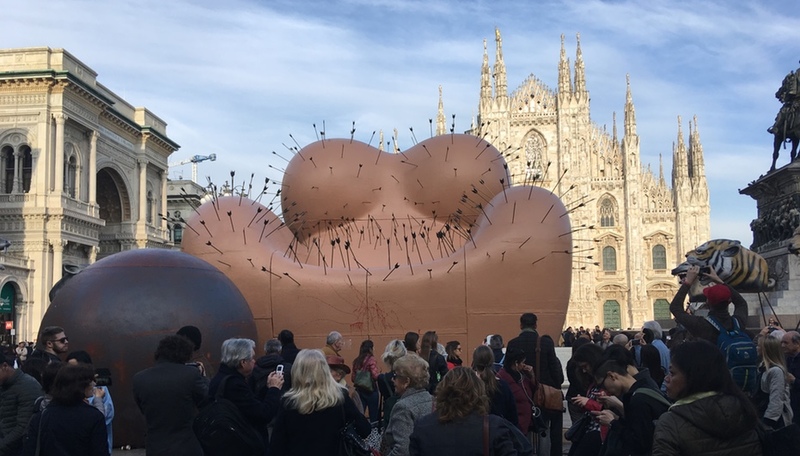 They are committed to producing at least two installations each year, because they enjoy the challenge and experimentation, but these tem­por­ary projects are also proving to be good for business. For a new Andaz Hotel – an Ottawa outpost of Hyatt’s boutique arm, expected to open next year – their interiors evoke the same playful sense of patriotism seen in the shipping container project. Yet there will be nary a beaver or Maple Leaf in sight. 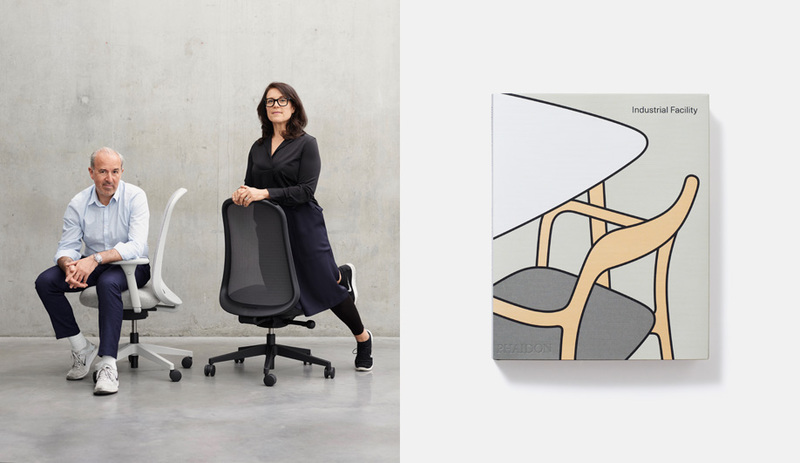 Instead, suites will feature walls customized using felt-based wall­coverings developed with Creative Matters, and each of the 13 guest floors will include subtle references to the landscape of a different province or territory. The rooms themselves will be furnished with Canadian objects, including lights by MSDS Studio. Another recent project, the Village Juicery on College Street in Toronto, is the firm’s most Zenlike, neighbourhood-centric space yet. To capture the juicery’s localism and clean-living ethos, Mason used such materials as Baltic birch and terracotta-hued quarry tile, creating a calm and understated shop environment. Custom stools at the sun-soaked counter offer a spot for clientele to learn about each juice’s all-local production process. The overall effect is pure Mason, with a sense of place rooted in context, subtle use of materials and colours and a quintessentially Canadian mood.